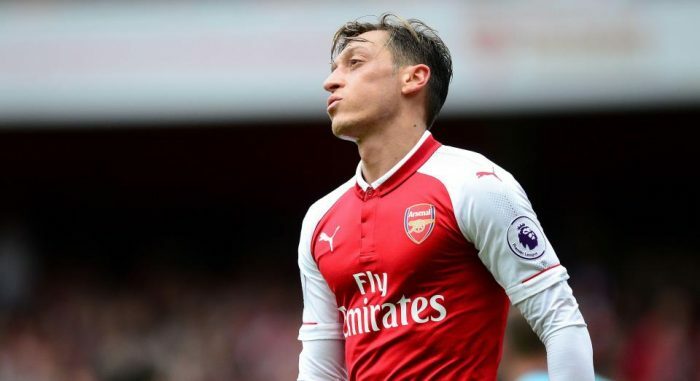 Arsenal manager, Unai Emery, is reportedly looking to sell Mesut Ozil and Henrikh Mkhitaryan, the UK Mirror reports. The club is reportedly keen to offload their biggest earners, to make room for new players. Emery was restricted to loan signings in the January transfer window and could start the summer transfer window with only a small budget, if Arsenal fail to finish in the top four. However, with Aaron Ramsey gone and Petr Cech retiring and a number of stars reported to be on their way out, including Danny Welbeck, Emery hopes to have enough money to make four new signings. One of those targets is Italy star Nicolo Barella. The Cagliari midfielder is seen as the ideal replacement for Juventus-bound Ramsey. But any deal for the 22-year-old, could depend on whether Arsenal will be playing Champions League football next season.